Crab Apples as you know are usually used as a bittering or tartness agent in ciders. Many recipes call for a small amount of them in combination with other apples to balance the flavor. If I was using a mac, courtland or spencer, I’d be using a small amount of crab apple to balance the huge amounts of sugar these apples bring to the table. We did this three times to get enough liquid and on the third “sparge” we introduced 10 lbs of sugar and brought it back up to 140 degrees to incorporate the sugar in as a syrup. Notice the nice red/brown color brought through initially. 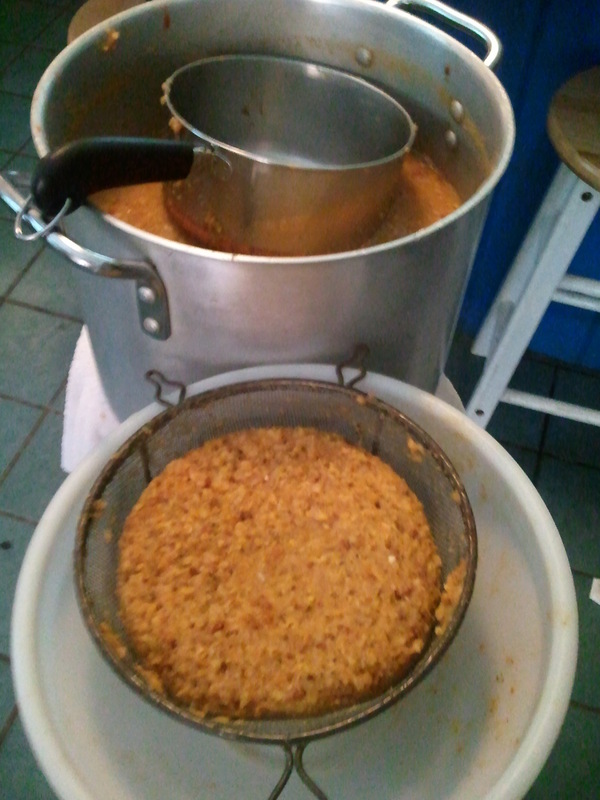 As we continued to sparge, the brown color overtook the mix and the temperature ranged about 150 degrees. 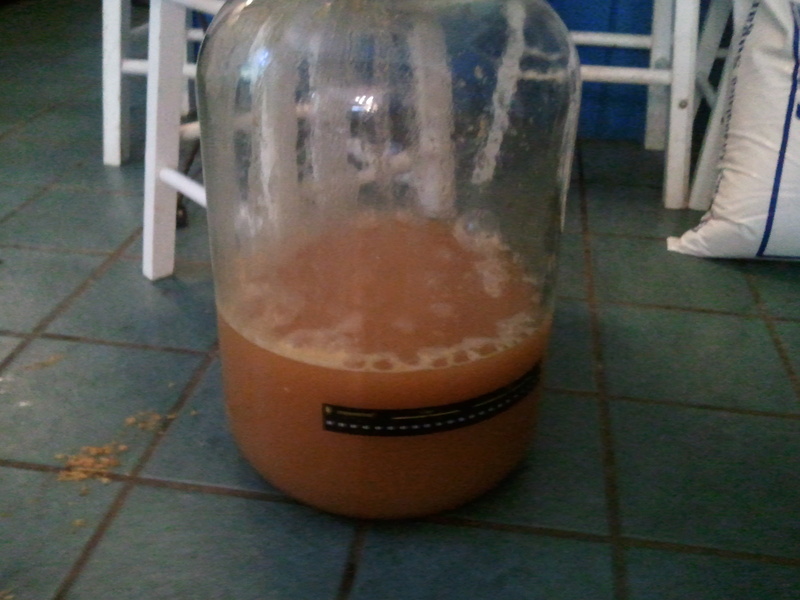 We’re currently waiting for the mix to cool enough to pitch the yeast. Notes on the yeast: The store I got it from gave it to me for free. Why? Because the date was feb 2011/ We’ll try pitching it tomorrow and see what happens. If it doesn’t take, then I’ve got my favorite old standby D47 waiting. What are your thoughts on this? Do you think anyone has ever made a strictly crab apple cider? Like so many brewing projects there’s bound to be someone who only had access to these particular sugar sources and attempted to make the best of it. We’re experimenting here and that’s part of learning the brewing process and how it affects different sugars and yeast opportunities. Don’t be afraid to try things that are not specifically “Medieval Period” related. If you try things outside of the box, you sometimes gain a better understanding of what the in rules require so that you can better attain your end goals. UPDATE- So the Wyeast 4134 was indeed a bust/ We tried doing the smackpack as normal in a bucket of 75 degree water/ no swelling. So we heated some milk to 75 degrees and did a quick tear and pour into a glass jar and mixed it/ Sometimes the lactase in the milk can jumpstart those few yeasts that are still alive. It sat for 2 days and never a bubble formed. This was definitely some dead yeast. So we called it dead at 5:57pm and pitched D47 yeast instead.